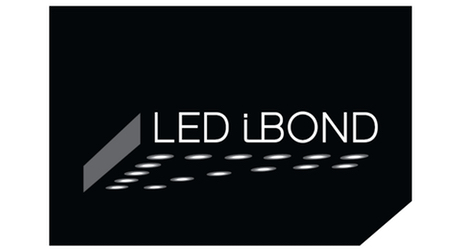 LED iBond (LIB) develops, produces and sells LED light solutions based on unique and international patented technology. The technology ensures outstanding cooling of LEDs, which results in a longer and stable durability of the products. The products can be flexibly designed and designed in relation to the market needs. Further, the products are prepared for integration with external IT systems (management, control and data communication), why LIB has a targeted strategy that LED-light in the future will be an important part of a better and healthier indoor climate. We recently launched and set up mass production facility for producing a new and internationally nominated product named Tracy ® IoT. Tracy® sets new standards for smart buildings and connected environments, because the system is 6mm thin and ready to integrate IoT devices such as motion sensors and thermostats, while providing high efficiency LED lighting. Tracy® empowers IoT devices, running electricity and light, with one electrical input. With existing and potential contracts for more than 100k units per year, we feel that demand for Tracy and similar products is huge. There is a growing trend to ensure the well being of animals. It was proven that Poultry tend to feel and grow better under certain RGB-W light. As a LED light producers we are capable of developing a product that perfects light colour schemes, bring light control as well as additional capabilities to help farmers, such as webcams, sensors, antennas, etc. We would like you to help us prototype and bring new products to the market. Our team has many ideas and with a right candidate could discuss different possibilities. We are also open for your project suggestions as long as they are related to Lighting and Technology interception. Note: Collaboration could be in a form of a Thesis project, Course or Semester project, Internship or part-time Student Assistant position. More precisely you are probably Hardware / Software electronics engineer. We expect you to know about Printed Circuit Board (PCB) layouts and design. You should be competent in microcontroller (MCU) programming in C++ or C languages. As we are dealing with IoT, it would be beneficial to know about integrations of IoT cloud services such as Cloud of Things, MQTT, The Things Network etc.